Love Your Mother: Happy Friday! Hi Everyone! Happy Friday! Are you ready for Thanksgiving next week? I am taking an extending vacation with the family and we can't wait to get away for a little bit and relax and have some fun. And speaking of Thanksgiving, I have a thank you card to share today. I used my Jillibean Soup Card Kitchen kit for this card. It's pretty simple, I added some layers, a diecut journaling spot, diecut butterfly, wood tree and fun tied bow. I love this krinkly ribbon but it's so hard to tie into a nice pretty bow! It has a mind of its own and doesn't like to sit down where I want it to. I do love these wood trees in the kit from Kaiser Craft! This card is for all you who visit my blog on a regular basis, I appreciate you all and love reading your comments. 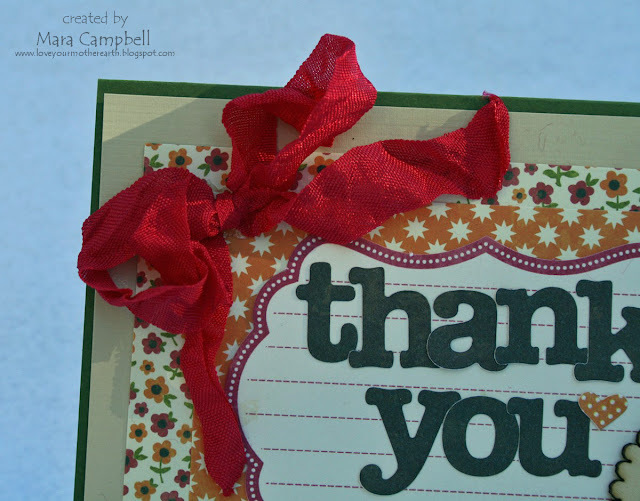 So thank you for sharing in my little corner of the blog world! My blogging will be sparse around here for the next week, but come back on the 20th to see what we all created with our monthly card kit! I hope you have a wonderful Thanksgiving, friends! Yay! I was wondering if you remembered! I can't wait to see what you've created for the card kit. Have a GREAT trip, Mara! hope you have a fun vacation!!!! and LOVE LOVE your card, it's sooo pretty!!! LOVE the tree!!! and BTW I hope Malcolm and Denise go far in Survivor, I'm rooting for them too!!! I love your little wooden element and the patterns you chose are so..homey and warm. Love it Mara! Have fun! 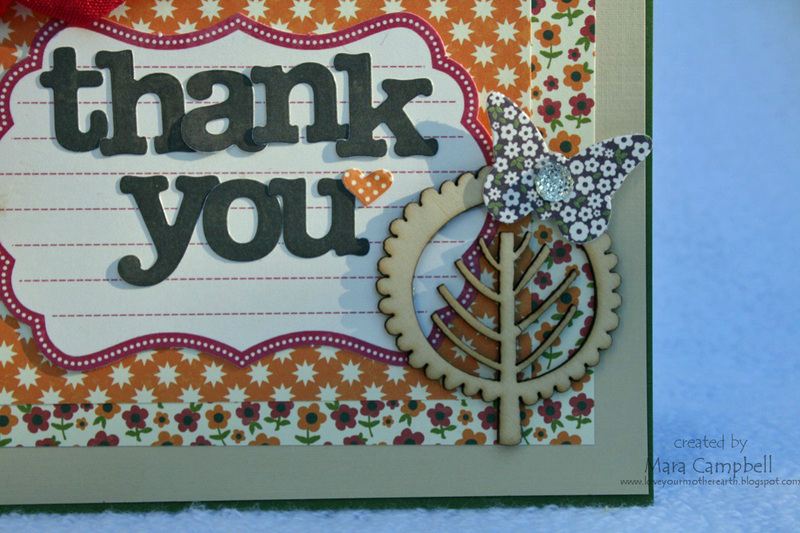 Love the patterned papers and the wood accent Mara, lovely card. Such a pretty card! Love the little wood accents you have been using. I hope you and your family have a wonderful thanksgiving ,Mara. This is a great card and I love the butterfly and little heart. Have a wonderful Thanksgiving holiday. 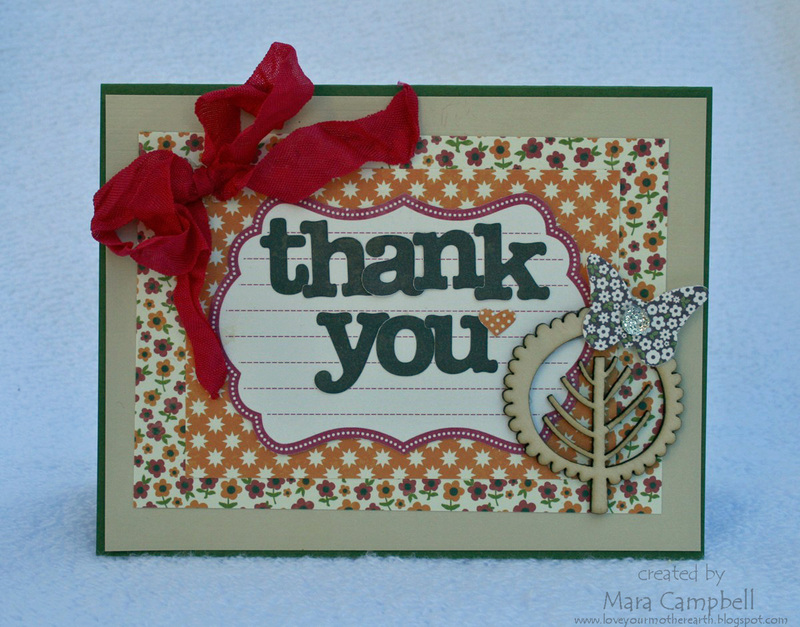 So sweet and the wooden tree is just the perfect addition to your card. So CUTE Mara.. Hope your having a FABULOUS time!!!! Be back to peek at the card kit creations!!! Very pretty card!! Love that chipboard tree! Hope you enjoyed your vacation and Thanksgiving! !